It’s no secret that autoclaves can be very dangerous to work around. I compare them to a pressure cooker in my mind and remember what my mother told me about how dangerous those can be. As a child I locked the lid on ours and the water inside boiled so violently the whole pot was dancing around on the stove top. I released the lid, bad idea, and boiling hot water went everywhere! Luckily, no one was hurt which is an absolute miracle! 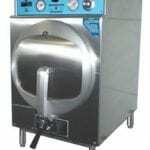 The following articles are from Lab Manager magazine about the safety hazards of autoclaves and what you can do to stay safe while using them. For example, did you know that if you use your autoclave to inactivate substances such as human pathogens, blood, tissues, and clinical samples, testing is required after every 40 hours of use? Autoclaves used to sterilize other materials must be tested every six months. 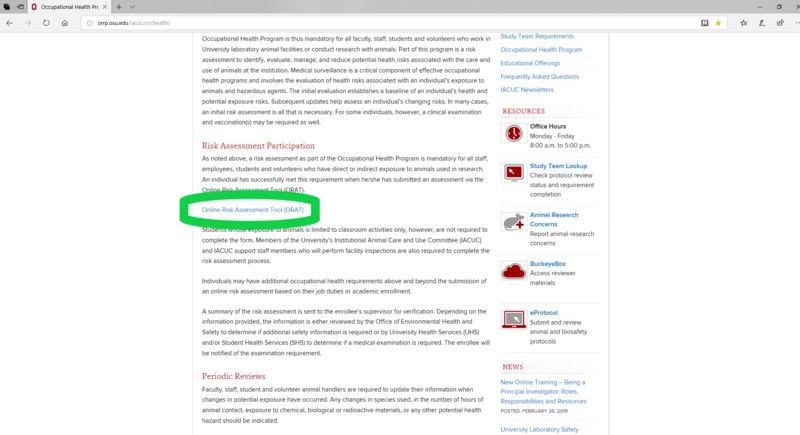 Check out these articles to learn more and help keep yourself and others that work in your lab safe. Winter is a time for holiday decorations and staying warm. Many of us live and/or work in older structures and use alternative means of heat such as; wood burning stoves and fireplaces, space heaters, and fuel fired furnaces. 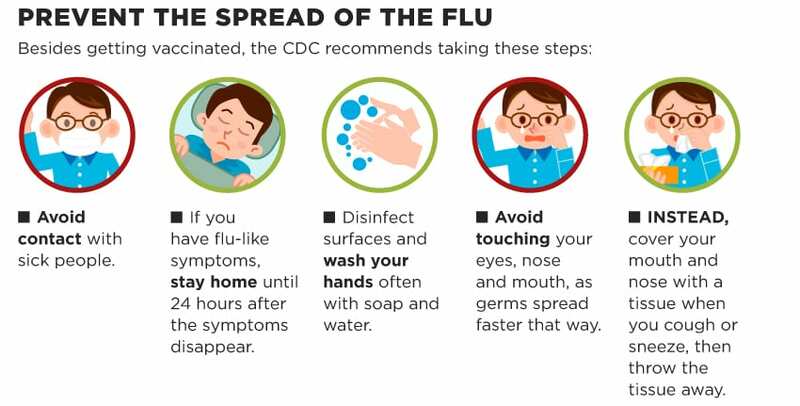 The National Fire Protection Association has some great information and infographics on how to avoid potential disastrous events during this cold but happy time of year. Read more here. 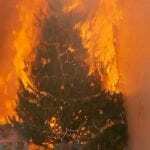 You can also check out this video of a Christmas tree fire, it is very eye opening. 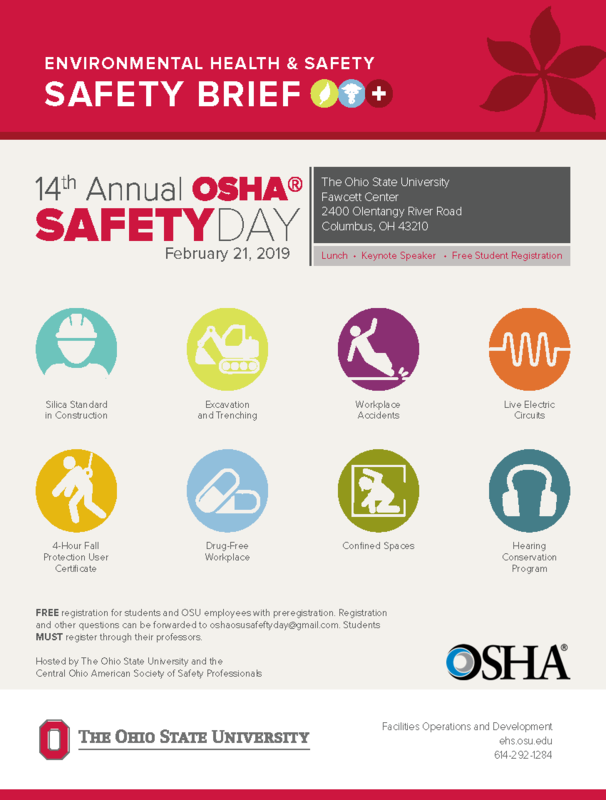 Also check out this great article by Lisa Pfeifer from OSU Ag Safety and Health Education about carbon monoxide and ways to protect yourself against this silent killer. 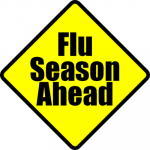 Stay safe out there and enjoy this winter season! It is important to check your first aid kit regularly to be sure all items are fully stocked, unexpired (yes; antibiotic ointment and antiseptic wipes DO expire), and in good working order. Have your first aid kit well stocked and ready when you need it. Don’t be caught off guard with old useless supplies in a time of need. 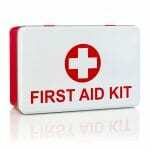 Of course, you are welcome to add any other items you would like to help in a situation that first aid is needed. Feel free to add items that pertain to the type of work you do or the place in which work is being done. If you are in an area that involves mostly outdoor work adding some hydrocortisone ointment packets and calamine lotion may be helpful for seasonal allergies, insect bits or stings. 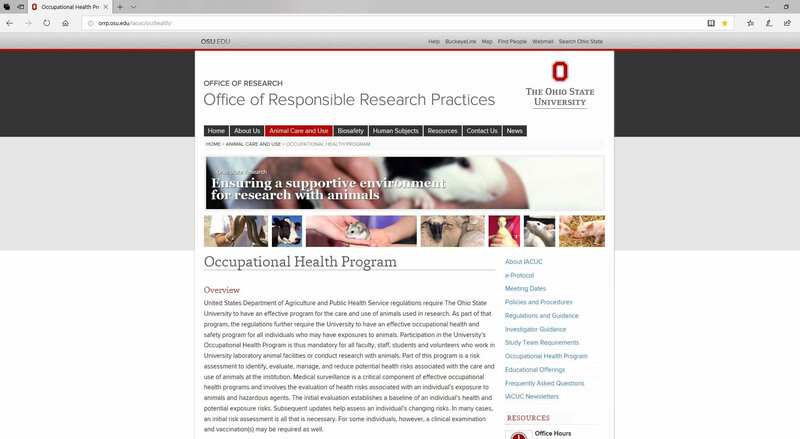 Many people are unaware that OARDC Store Room offers first aid kits and refill supplies for first aid kits free for campus use. 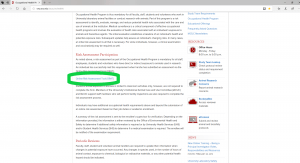 Fill out an erequest with the proper information from the online catalog if you are in need of a new first aid kit or refills for your current first aid kit. Check out this link for a great infographic from Cleveland Clinic on first aid kits and their use.